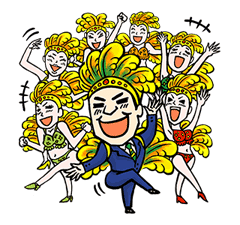 http://www.line-stickers.com/ – Feeling Samba With KUAT Line Sticker | These stickers of Brazil’s KUAT energy drink will keep the party going all night! Friend Coca-Cola’s official account to get them. Available till Sept. 7, 2014. 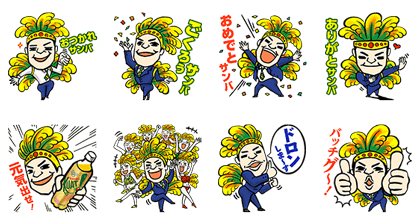 Publisher : Coca-Cola (Japan) Co., Ltd. Copyright : © Coca-Cola (Japan) Co., Ltd.